The post What to Know About a Collapsing Trachea in Dogs by Catherine Ashe appeared first on Dogster. Copying over entire articles infringes on copyright laws. You may not be aware of it, but all of these articles were assigned, contracted and paid for, so they aren’t considered public domain. However, we appreciate that you like the article and would love it if you continued sharing just the first paragraph of an article, then linking out to the rest of the piece on Dogster.com. If you’ve ever heard a goose honk, then you are familiar with the sound of a collapsing trachea in dogs. 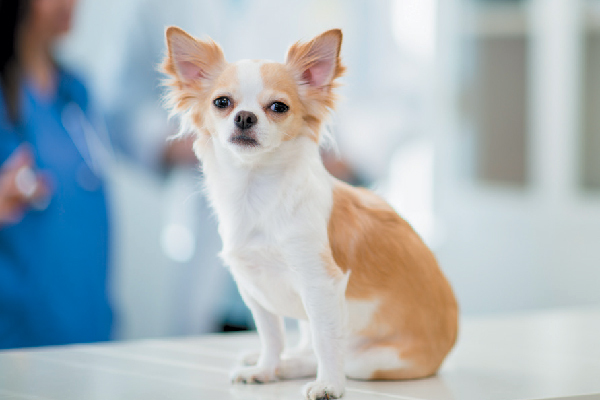 This common condition occurs in certain breeds as they age, including Pomeranians, Chihuahuas and Yorkshire Terriers. First, what is a trachea and what is a collapsing trachea in dogs? First, what is the trachea? Photography ©bymuratdeniz | Getty Images. The trachea — more commonly known as the “windpipe” — carries oxygen from the environment into the lungs. It contains strong cartilage rings that keep it open to conduct air. With collapsing trachea in dogs, the cartilage rings become malacic (or soft) as a dog ages. Most dogs develop this in middle to older age. Instead of maintaining a rigid shape, the cartilage becomes soft and fails to keep the trachea open. When your dog becomes excited or pants heavily, the trachea starts to collapse on itself, leading to the distinctive “goose honk” coughing. Overheating or stress can exacerbate a collapsing trachea in dogs. The coughing can last for several minutes until the trachea opens up again. What should you do about a collapsing trachea in dogs? 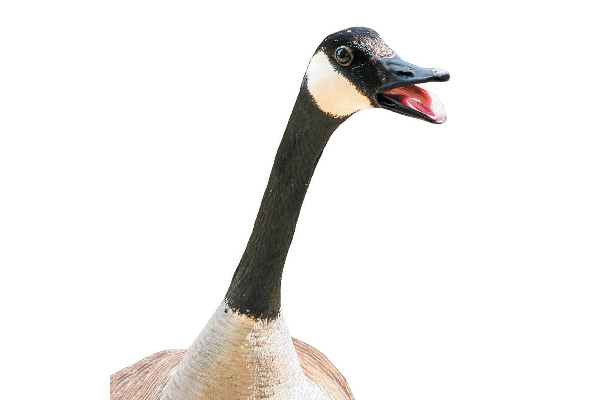 If you’ve ever heard a goose honking, then you are familiar with the sound of a collapsing trachea. Photography ©FatCamera | Getty Images. If you suspect your a collapsing trachea in dogs, the first step is a thorough examination by a veterinarian. Your vet will try to elicit the cough by deeply pressing on the trachea and rubbing vigorously. This might make your dog cough, which will assist with diagnosis. Your veterinarian will also check vitals to make sure there is no fever and that the cough could not be caused by something else like infection or bronchitis. The next step is radiographs. The diagnosis of collapsing trachea can- not always be made based on X-rays, because it is a dynamic condition. This means that the trachea only collapses some of the time (during excitement and exertion). It may not appear col- lapsed on the X-rays, but this does not mean your dog does not have a tracheal problem. If collapsing trachea is heavily suspected but not confirmed, your veterinarian has two options: treat the symptoms and see if they respond, or refer for more advanced diagnostics. 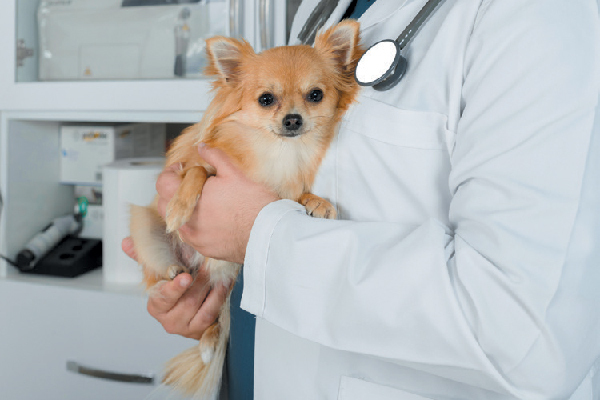 If you are referred, your dog will undergo either a fluoroscopy or bronchoscopy. The former is a “moving” X-ray. Your dog will be awake but restrained for this procedure. During this, the specialist will try to make your dog cough while watching the X-ray. However, the best way to diagnose is the bronchoscopy. This requires anesthesia and placing a camera into the trachea to see the collapse. It is costly, since your pet will be anesthetized, but it is considered the gold standard for diagnosis. A skeptical looking dog. Photography ©EvergreenPlanet | Getty Images. In many cases, owners opt to treat the symptoms of collapsing trachea in dogs medically and monitor the dog. Treatments are varied and many are successful. If your dog is overweight, weight loss can be tremendously helpful. Minimizing excitement can also help dramatically. Cough suppressants such as Hycodan syrup or TorbTabs are often prescribed. Steroids are sometimes used for their anti-inflammatory properties, although they have significant side effects. Recently, Cerenia (a popular anti-nausea medication) has shown promise in helping with inflammation. This use is off-label and anecdotal at this time, and more studies are needed. There are surgical options for treating collapsing trachea in dogs as well. Stent placement is the current surgery of choice. A stent is a rigid implant that holds the trachea open. This is done at a referral institution, as the stent must be placed under anesthesia and with fluoroscopy. Complications can develop even with this surgery. Is there a cure for a collapsing trachea in dogs? Unfortunately, collapsing trachea in dogs is not curable. Even with surgery, lifetime medications will likely be needed. With weight loss, suppression of coughing, avoidance of excitement and possibly surgical intervention, the symptoms can often be controlled, and dogs can live a long, happy life. Thumbnail: Photography ©DragonImages | Getty Images. Catherine Ashe is a veterinarian, mother and freelance writer residing in Asheville, North Carolina. For nine years, she practiced emergency medicine and is now a relief GP. When not working, she spends time with her family of six, reading, writing and enjoying the Blue Ridge mountains.